What should be done with late answers that don't really add anything? I was looking through the review queue today for late answers, and I came across this answer (image below). 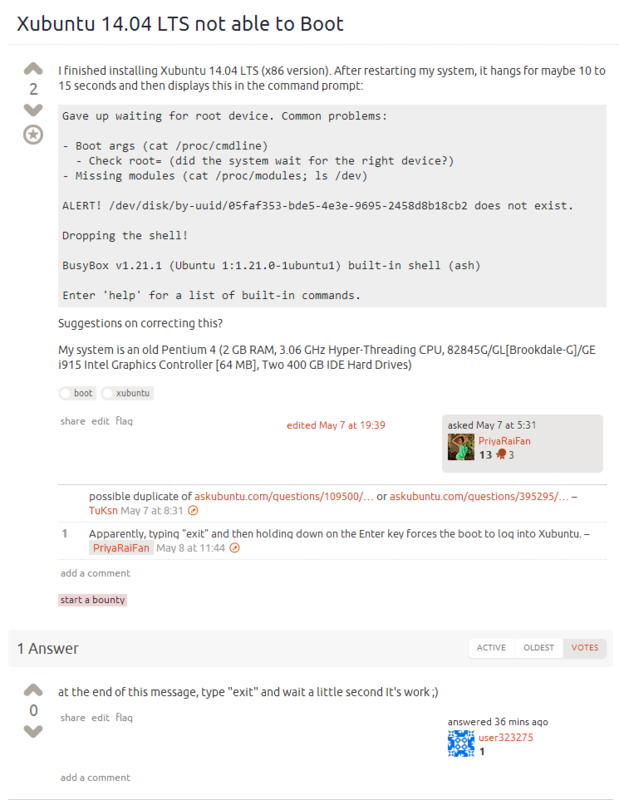 From the comments it's clear that the OP for the question found a solution elsewhere, possible in another question (linked in the comments), and the question is likely a duplicate of "Gave up waiting for root device" while booting. That being said, there's no "answer" (prior to this one) to the question, just the comment (which contains the answer). Ideally the OP would have answered her own question, but she didn't. Additionally, the other one that it's a duplicate of doesn't have an answer with upvotes. The answer submitted is pretty low quality, but could be improved to answer the question appropriately. However, the OP hasn't been seen in 3.5 months, so it's unlikely that it will be accepted as an answer. So basically, if you came across this answer, what would you do? Deleting it, improving it or simply voting it down seem to be the ways to go (other than simply ignoring it, of course). But it also indicates the possibility of simply improving it. So the question is whether the fact that the answer is late changes anything here. I personally cannot see why, unless the question clearly has an expiration date which is exceeded. Can we get a notice that questions we answered were merged? Are all freeze-related questions automatically off-topic? What should we do with answers that include contact details for relevant support services?